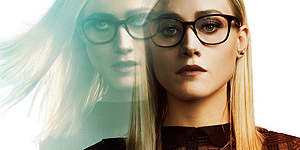 The gallery has been updated with new promotional photos and an episode still from the new season of “The Magicians” as well as with additional pictures from Olivia’s Rogue photoshoot and with a new photoshoot. Thanks to Cole for some pictures! This past weekend Olivia and some of her fellow “The Magicians” cast members attended the San Diego Comic-Con International. The gallery has been updated with beautiful pictures of Olivia from the events as well as some photoshoot pictures. Olivia along with her “The Magicians” co-star Hale Appleman are featured in the Spring/Summer issue of Rogue Magazine. The gallery has been updated with a few pictures of Olivia from the feature. Hopefully I can get scans of it soon. I think this might be Olivia’s first magazine feature (that I’m aware of at least)! Also, we have a new layout up at the main site & gallery. I hope everyone likes them! The header was made by me and the lovely themes are by Sin21. The gallery has been updated with portraits of Olivia from the NBCUniversal Winter Press Tour. The gallery has been updated with new beautiful portraits of Olivia from last year’s San Diego Comic-Con. Olivia and some of the cast of “The Magicians” attended this year’s San Diego Comic-Con International. The gallery has been updated with pictures of her at “The Magicians” Press Line”, Nintendo At The TV Insider Lounge, Entertainment Weekly’s Annual Comic-Con Party, and portraits of her as well.